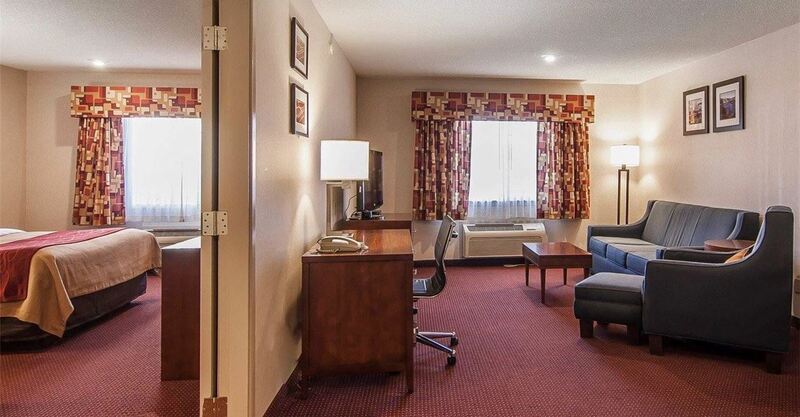 Relax in contemporary surroundings that feel just like home. 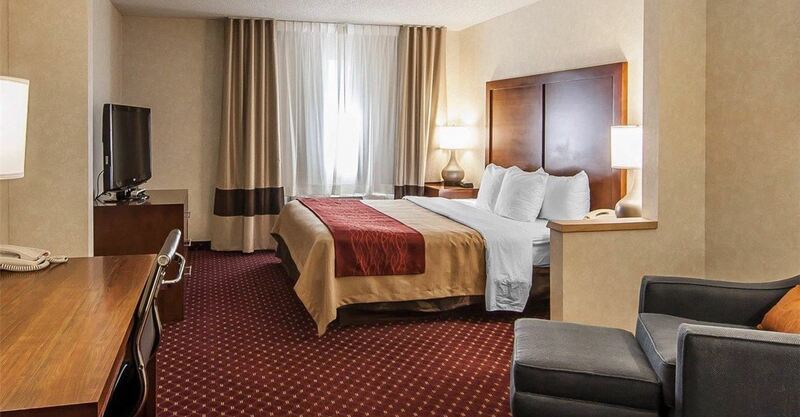 Drift off into restful slumber on your comfy bed and awaken in the morning to a complimentary hot breakfast. Stock up on food items in your personal refrigerator and wrap up important projects at your spacious work desk. 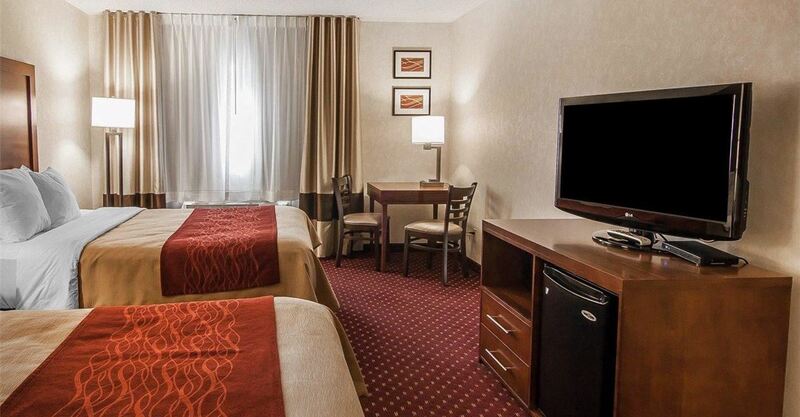 Make a bag of popcorn in the microwave and curl up with your favorite premium cable shows. 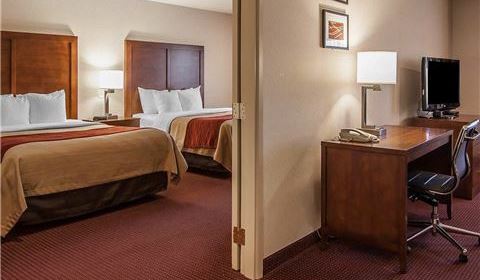 Whatever the day brings you, our warm hotel is the perfect refuge to come home to. 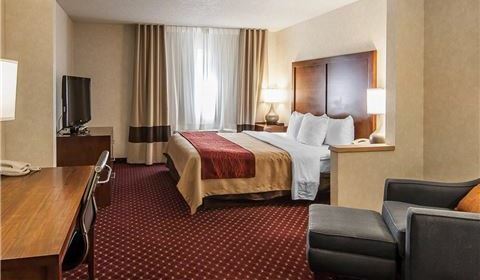 Stretch out in this spacious room, featuring a comfy king bed, free Wi-Fi, a 37-inch LCD/Plasma TV and premium cable programming. 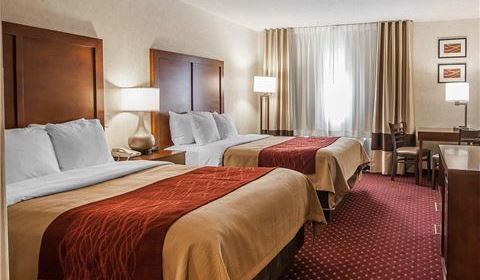 Ideal for vacationing families, this home-like room includes two queen beds, Wi-Fi and our full collection of modern amenities. 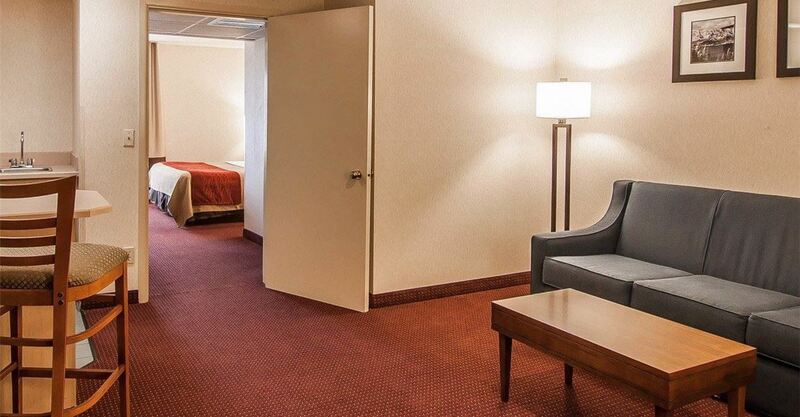 Enjoy some extra privacy in this one-room suite, featuring a plush king bed, sitting area with sofa, and partial room divider. 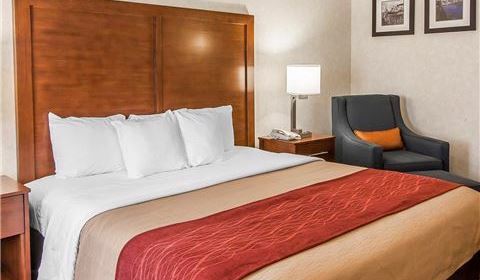 Unpack your bags in this roomy suite, featuring two queen beds, our full line of modern amenities and plenty of space to unwind. 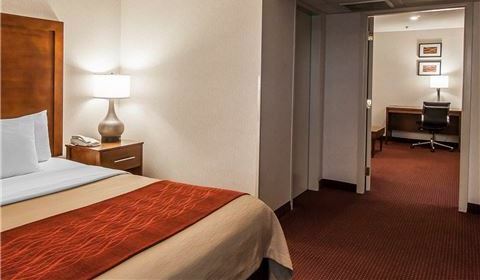 Designed for special needs, this fully-equipped room includes a roll-in shower and visual doorbell, alarm and telephone alerts. 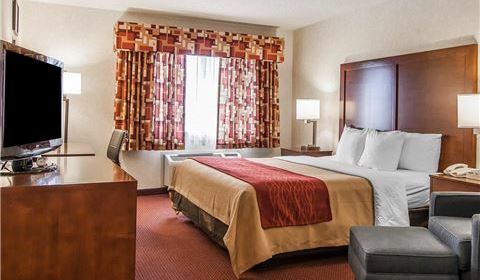 Appointed with all our modern amenities, this spacious king room includes modern accessible features for extra comfort and safety.